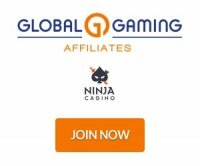 We asked a few gambling affiliates 1 question: Do you have non gambling affiliate websites and do you think it is important for gambling affiliates to diversify their portfolio? Some affiliates don't like to have their eggs all in one basket. So the question for most gaming affiliates is should they have sites in other markets or focus their time and energy onto one site or just gambling? With Black Friday still wreaking havoc in the industry, mainstream affiliates and marketing starts to look better each day. This is especially true for poker affiliates but casino, bingo and sports betting affiliates are feeling some of the effects of the black friday poker domain seizures. I do have several non-gambling affiliate websites that I have been working on for the past few years. I think it is very important to diversify as we have seen from many past events such as UIGEA and Black Friday that the gambling industry can be quite unstable at times. I believe that as gambling affiliates the skills we learn in this industry are invaluable and can be applied to many less competitive industries where there is a lot of money to be made. I have always been a firm believer that it is not good to "stick all your eggs in one basket" so it is important to have some side projects on the go to fall back on incase we continue to experience even more issues in the gambling affiliate industry. I actually started out in the travel vertical, with several hotel affiliate sites. After Google's 2005 Florida update, which wiped almost all travel affiliates out overnight, I belatedly understood the value in having a diversified portfolio! Yes, I have websites in a few different niches outside of gambling. With the current uncertainty in the online gambling market, it makes sense to be looking into different niches and industries. Likewise working in the competitive affiliate market of online gambling, it makes it easy to attain success in industries that are much less competitive. For example, I started promoting precious metals earlier in 2010 and found that ranking for certain keywords and driving traffic in this market was exponentially easier than online gaming. Do you have a non-gaming affiliate site or are you considering starting a new one? If so contact us if you want to be quoted for the next article.